Just two days ago, we showed you that General Motors teased the all-new 2020 Chevrolet Tracker. 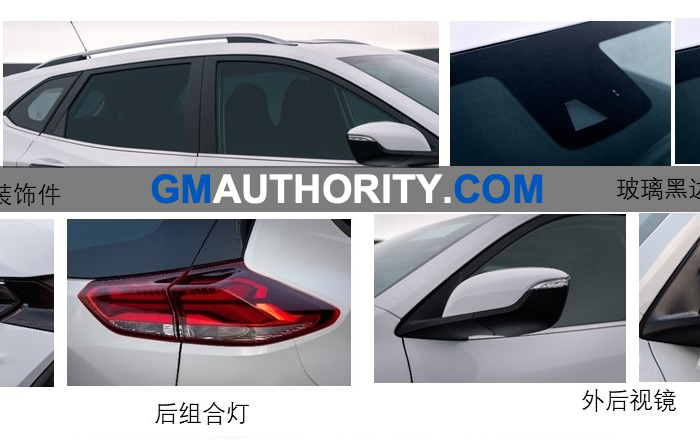 Now, Chevy’s new subcompact crossover SUV has been completely leaked in China. 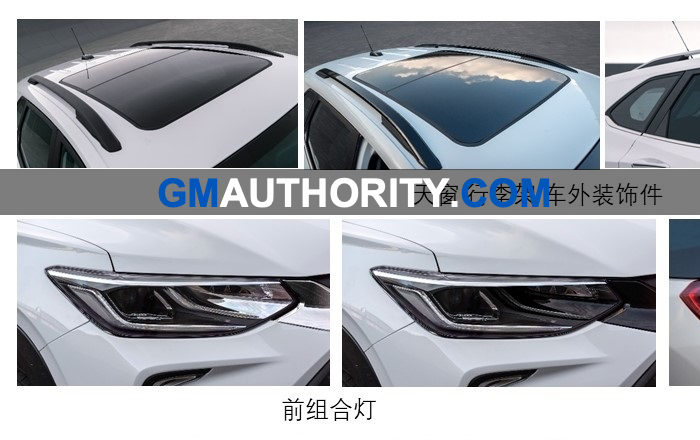 Today, the country’s authorities inadvertently revealed the new model from SAIC-GM, allowing us to see the new Tracker’s exterior design, along with the specifications for the Chinese-market model. 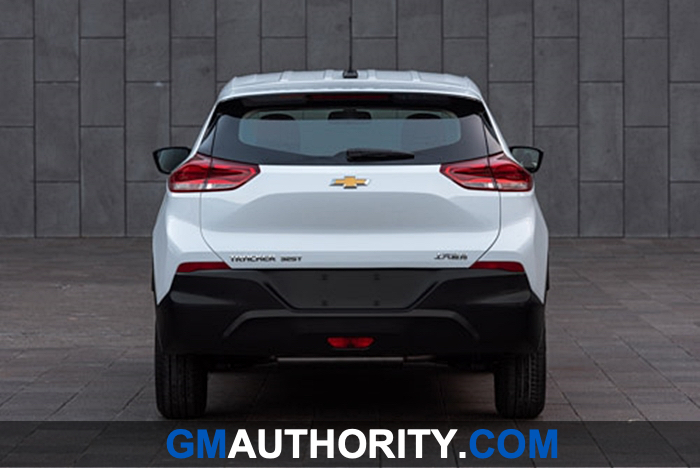 As shown in the spy photos and GM’s teaser image, the new 2020 Chevrolet Tracker adopts the latest iteration of Chevy’s design language and includes some elements already seen in several other new models. This is especially true in the front, where the headlights, grilles, and bumper cover treatment are similar to those of the new Orlando. Meanwhile, the bright element that connects the upper part of the grille with the headlights is a characteristic introduced on the new 2019 Blazer. Meanwhile, the design of the side and rear end have a unique appearance. On the sides, the high beltline and pronounced wheel arches stand out. The lower section of the doors is adorned with a black plastic, protecting the space from debris flying off the wheels while giving the vehicle a tougher, more robust appearance. The rear end, meanwhile, has a relatively simple design with horizontal lights positioned just below the rear window. Compared to the current, first-generation Chevy Trax, the new 2020 Chevrolet Tracker is 0.9 inches longer, an inch wider and almost two inches lower. The wheelbase is up by 0.6 inches to 101.2 inches. Under the hood sits a turbo-charged, 1.0L three-cylinder engine making a maximum 115 horsepower. It is expected to be paired with a six-speed dual-clutch transmission. In addition, it is possible that the range-topping version will feature another engine that’s more powerful. 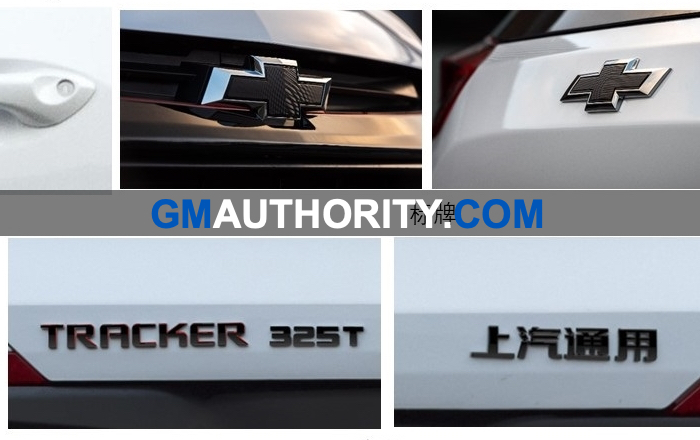 The 2020 Chevrolet Tracker could make its official debut at a special event in China in March. It will be one of the first in a series of high-volume GM vehicles for developing markets. 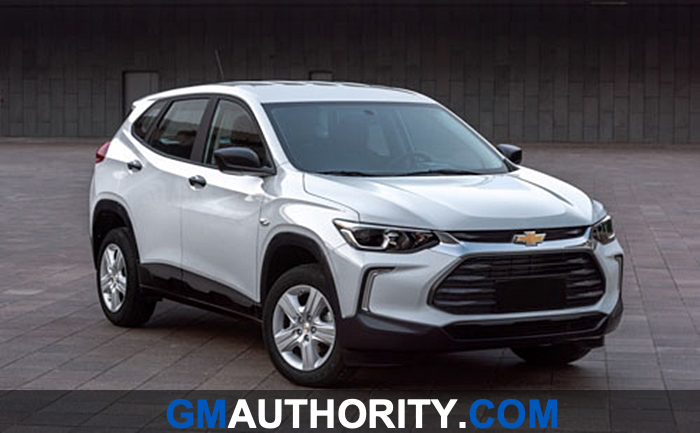 The 2020 Chevrolet Tracker will be a new offering in the small crossover utility vehicle segment. Note that this is not the next-gen Chevy Trax, which could be renamed to TrailBlazer. Instead, the Tracker is expected to be offered exclusively in developing markets. The model rides on the new GM GEM platform and is assigned the JBUC project code. As such, the Chevrolet Tracker will no longer be mechanically related to the Chevy Trax, which is the case today. Instead, the future Chevrolet Trax will ride on the GM VSS-F platform (vehicle set). 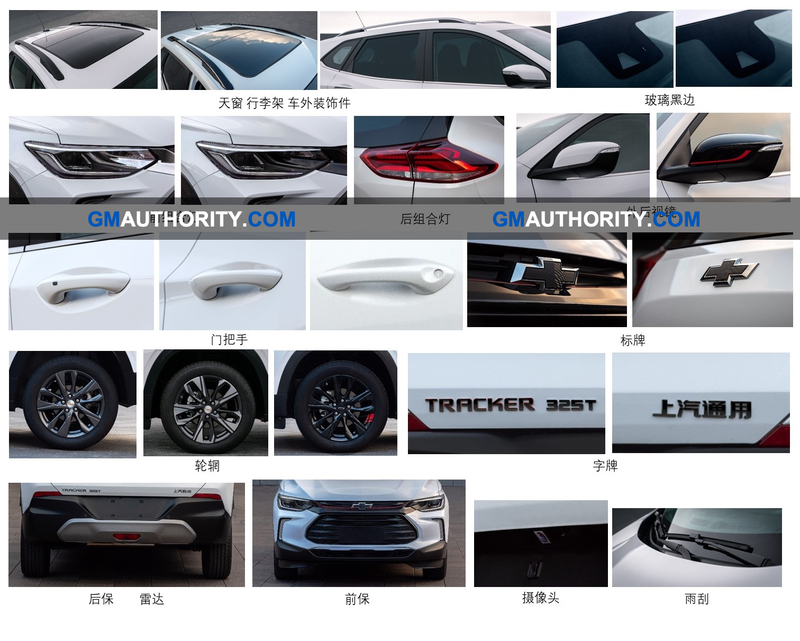 Despite being roughly the same size, the new Chevrolet Tracker will be positioned below the Trax in terms of feature/content and price, enabling it to improve Chevrolet’s competitiveness in developing markets such as China, Mexico and South America. Stay tuned to GM Authority as we bring you the latest Chevrolet news and Tracker news. Not bad… Looks like a Mazda and Subaru screwed. Is it Federalized? Would be a good Sonic fill in provided GEM is US worthy. GM used to do this with Opel, too–produce a decent car legally unfit for US roads like Adam, for example, or even Astra hatch. Everyone is living GM these days. I’m not! Please have a look at the part of the article that references the platform. This is for emerging markets only = not for the U.S.
I’m aware of what GEM stands for. I also know business plans often change may this be due to economic trends, holes in line-ups that need to be filled, or management changes. I can still remember them saying Trax would not be sold in the US. Leaking is better than their usual stealing. Taking away some of the roundness from the front end makes for a cleaner look. The lower lip is also much straighter. I just hope they keep this same styling for the future Trax. i like the front but what happened to the back end? looks like someone forgot the bumper. This will probably cost under 20k in emerging markets and comes with pano sunroof, while 70k Silverado does not? General Motors CEO Mary Barra makes one mistake after another as she’s becoming the Nancy Pelosi of the auto industry because while new sheetmetal is nice, it’s what’s under the hood that is just as important; foreign competition is getting tougher and if Barra doesn’t do anything with the engine and transmission then the Chevrolet Tracker sales will be like the Cruze and slip into a death spiral. Usually GM does manage to keep a new car from leaking until the day after the warranty expires.